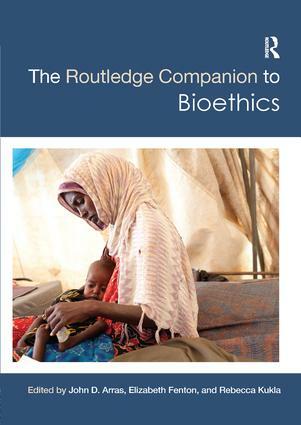 The Routledge Companion to Bioethics is a comprehensive reference guide to a wide range of contemporary concerns in bioethics. The volume orients the reader in a changing landscape shaped by globalization, health disparities, and rapidly advancing technologies. Bioethics has begun a turn toward a systematic concern with social justice, population health, and public policy. While also covering more traditional topics, this volume fully captures this recent shift and foreshadows the resulting developments in bioethics. It highlights emerging issues such as climate change, transgender, and medical tourism, and re-examines enduring topics, such as autonomy, end-of-life care, and resource allocation. Do Health Workers Have a Duty to Work in Underserved Areas? The Ethics of Incentives for Participation in Research: What’s the Problem?